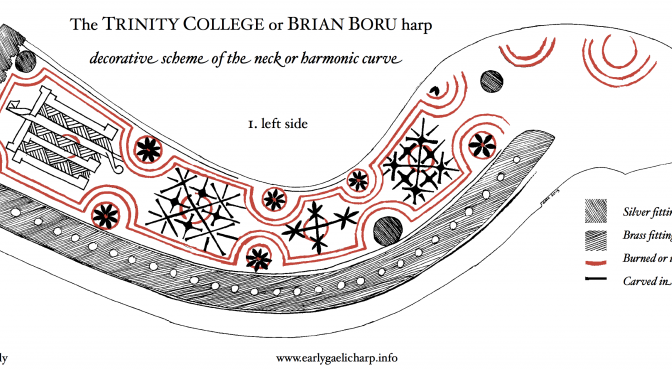 I am halfway through preparing a sheet, laying out the decorative scheme of the neck of the Trinity College harp. I thought of doing this two years ago, when I did my scheme for the pillar, but I never got round to it until now. I will eventually put both the halves together in one sheet, and publish it on Early Gaelic Harp Info, but for now you can get a sneak preview of the left side.